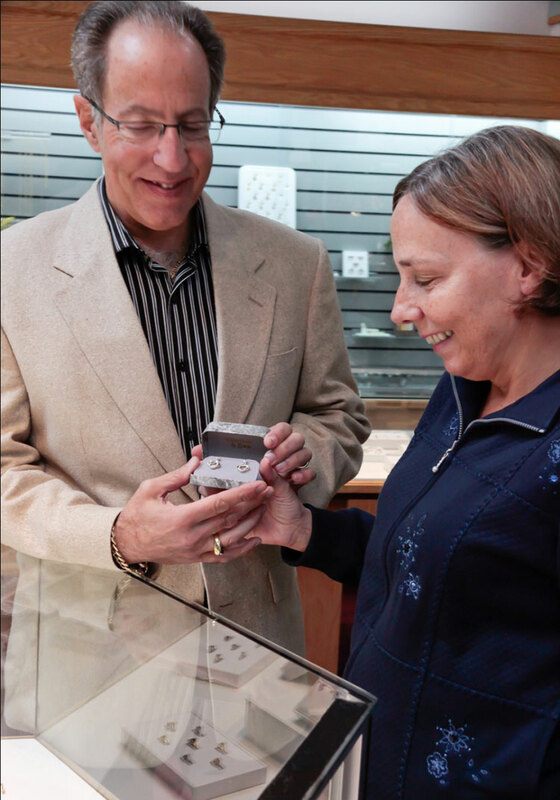 Frank Capodagli of Robertson & Bach Jewelers in West Seneca, NY, awards Darlene Owen with a pair of 14k gold and diamond earrings valued at $3,000 from Gottlieb & Sons Convertibles Collections. Ms. Owen was the winner of a give-away contest in Redbook Magazine sponsored by Gottlieb & Sons. Convertibles earring jackets make it possible for women to wear a diamond stud two ways – as a knot or as a drop! Stop by your nearest Gottlieb & Sons retailer for the perfect last minute Christmas gift!